We were actually just chatting on Wednesday about how we should stick Sid up for a little excitement. You never know when he'll pop up, but he's certainly far from retired. To our knowledge the programming of the Lab Ray has not been changed, so there's no reason to believe it's less likely to occur now than it was in the past. Lab Jellies? Sounds like more of that Jelly World nonsense you guys are always going on about. We can think of seven hundred and sixty reasons why you shouldn't believe in Jelly World. Fortunately for you we don't have the time to list them all. #1 The very idea of some world made out of jelly is just plain silly! Yes, you can be frozen for scamming someone like that or attempting to trade a Neopet that isn't yours without the owner's permission. Your advice is very sound. 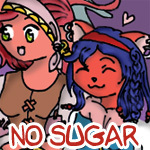 Never, ever agree to a trade (whether it be with items or Neopets) unless you have spoken directly with the account that owns it. We were planning on implementing a new thing with shields, but it keeps getting pushed back, so we've decided to add some new shields for those who have been very patient with us. For now, after six years a new shiny shield will be updated every six months to show your ongoing support. As well you shouldn't! Neopets cannot be mixed outside their species, nor can colour (aside from associated clothing) be mixed. Your Neopet can be a pink Gelert wearing Pirate Paint Brush clothing, but it most certainly cannot be a baby Bori-Zafara painted speckled, etc. When an account is frozen all the posts that player made are deleted. Don't worry, though -- we know how these things go and are quite good at investigating and leaving notes about such shenanigans. A good rule of thumb is to always make deals through Neomails too, as they are more permanent than board posts. Never ever go offsite to arrange deals, as this makes it very difficult for us to find out what happened and makes it much easier for you to be scammed. Keep yourself safe when trading and lending with Neomails that detail the transaction! What you got was a non-warning, asking you to make sure that you send in a report to us. Making a warning board is just fine. We think the monitor just accidentally deleted your posts (as we do that the vast majority of times when we warn), so we're sorry about that! It really depends on the amount of entries. Petpage entries are a bit of a disaster at the moment, but we're currently working on reducing the number of entries. Thanks for your patience. :) As for the S's instead of Z's, we go by British spelling. He was born chocolate, raised chocolate, and didn't plan to stop being chocolate. Where can I get my fortune told? High above this Citadel— his Citadel— General Kass was watching. The new moon had risen. And with it, a new dawn must always follow. "Third floor," the librarian said. "Aisle eight."